The progress in this area has been phenomenal. 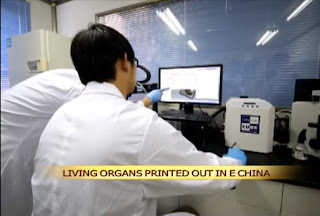 A few years ago 3D printers were being used to make organ casings and other related structures. Now they are producing living tissues which actually could perform the function of the full organ. They are a bit small yet and still not quite ready to be transplanted into a host who needs the full-sized model, but stay tuned.